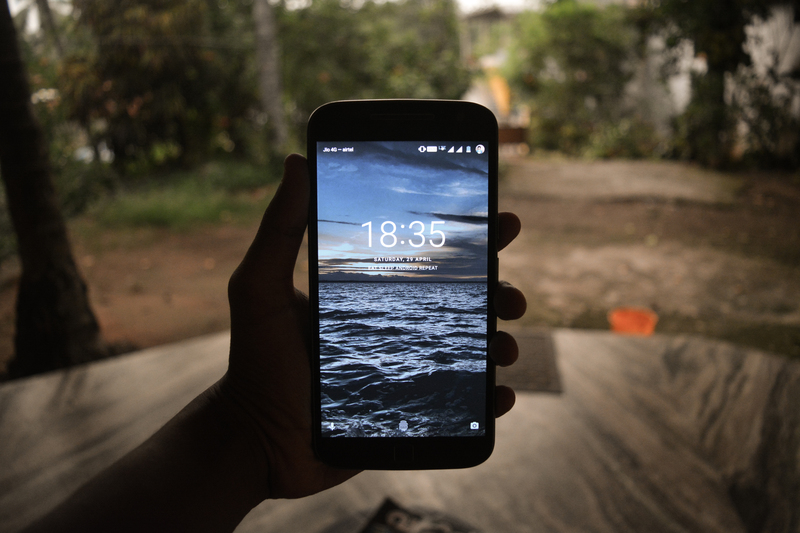 Android as an operating system has advanced considerably since its early days and with it the lock screen has also evolved. But sometimes you need more information on your phone without even unlocking it. Sure, the stock Android does display some information and notifications on the lock screen but if you want to go to the next level, you’ll need a third-party lock screen app. Thankfully, just like always, the Google Play Store is populated with many competent lock screen apps for Android and we have selected the ones that not only looked the best but also display various information that you would need. Third-party lock screen app that gives more information than your stock lock screen is a dream come true. However, I find all the lock screen apps to be a little bit unreliable. Either they didn’t take before the stock lock screen came up or I had to unlock my smartphone again after the downloaded lock screen. There are some issues that need to be kinked out but for the most part I think the apps work perfectly fine. Maybe I was missing something and didn’t allow the apps to perform perfectly but I checked the settings and they looked in order. One of my colleagues didn’t have any kind of issues and I think it’s the Samsung TouchWiz messing up the third-party lock screen apps and not Android. I’ll be doing some extensive testing on a Google pixel smartphone as soon as my friend returns to the city (don’t own it myself) and will update with proper scientific results. Note: The best lock screen apps for getting more information on your phone were tested on a Samsung Galaxy S7 Edge smartphone as well as a Sony Xperia Z. The lock screen apps worked perfectly fine and there were no problems faced during the testing. CM Locker is one of the biggest lock screen apps on the Google Play Store not only in terms of installs but also popularity. There are numerous features that come with this third-party lock screen app, from great security measures to multiple styles and themes, the app delivers on almost every front. One of the most intriguing feature is the intruder selfie, this feature snaps photos of someone who is trying to enter a wrong code on your smartphone. That’s not all, the photo will be instantly sent to your email address so you know who is trying to snoop. The app also comes with instant-reply feature that allows you to reply instantly to new messages right on the lock screen. I initially thought that I can only reply to standard text messages but was surprised to see Whatsapp and Facebook messenger also supported. If you are more into style then ZUI Locker will be your favorite lock screen app around. The material design locker makes your smartphone look incredibly beautiful and the automatically updating HD wallpapers will keep your smartphone looking fresh every time you try to unlock it. You can also select different styles of layouts on this locker and display the information you want with ease. Locker also displays frequently used app, so that you can easily launch them right from lock screen. It also ships with an intruder selfie feature much like the one on the first app. I also really like how you can easily display the flashlight button on the lock screen, so it becomes a lot easier to activate it. I’m a huge fan of great designs and this third-party lock screen app for Android has won me over. I can safely say that this is my favorite app on the best lock screen apps for getting more information on your phone list. The lock screen displays missed calls, text messages as well as buses notifications from other apps. It also allows you to display custom people so that you can easily call or text them right from the lock screen. That’s not all you can also display favorite apps, quickly access camera, turn on the flashlight and even Wi-Fi right from the home screen. The standards are also there, weather, calendar and music player can be shown on the lock screen with ease. Are you a fan of card style notifications that make your lock screen look beautiful? If the answer is yes then Snaplock Smart Lock Screen is the best lock screen you can get. The elegant design provides a beautiful experience and the customization options allow you to make your lock screen unique. The wallpapers also rotate daily and are generally pretty neat. There is also a well-designed weather and calendar that can be displayed on the lock screen that I think looks really tidy. You can also get music control on the lock screen, this not only includes the default music player but also mainstream music streaming apps like Spotify and Soundcloud. There are a lot of customization options available on this lock screen and it is truly moldable to your personal choices. You can easily make your lock screen look like iOS 10 with this third-party lock screen app for Android. You can send messages directly from the notification but also send predefined messages without even typing anything. This feature is perfect for when you are busy but don’t want to worry the other person. There is also a smart wake feature that will turn on the screen as soon as you pick up the smartphone. There are premium themes available that can be purchased, so you have a lot of customization options available. However, I’m listing it on the last place because there is not a lot of information on display on the lock screen. These were some of the best lock screen apps for getting more information on your phone or tablet. I’m not a big fan of custom lock screen apps simply because I don’t want any information to show up (privacy reasons) but if you crave quick info, these are a timesaver. If you have suggestions or questions about the apps, feel free to drop a comment below and we can have a great conversation. Until next time, keep your Android secure with the best lock screen apps around.